By Scott McQuire, University of Melbourne. Tonight in Sydney, the Opera House will again become an urban canvas for Lighting The Sails, now an established part of the annual Vivid festival (May 23-June 1). Instead of reflecting the harbour’s ambient light, the sails will be shrink-wrapped with a large-scale video projection created by 59 Productions, the team responsible for the video design of the London 2012 Olympic Opening Ceremony. In Melbourne in June, a new interactive light-based installation Radiant Lines by renowned London-based light artist Asif Khan will open in Federation Square as part of its long-running Light in Winter festival. Radiant Lines is a sculpture comprising 40 rings of raw aluminium suspended in space and illuminated by hundreds of LED lights pulsing in a rhythm that mimics bioluminescence. As visitors approach, they are able to trigger new patterns that immerse them. Urban illumination projects of this kind are increasingly popular, not only for festivals such as Vivid, Light in Winter, Enlighten in Canberra and various “White Nights” around the world, but for all kinds of transformations of urban space — both temporary and permanent. New forms of public and commercial lighting, large-scale projection, urban screens and media facades have profoundly transformed the look and ambiance of cities around the world. In Hong Kong, the city’s skyscrapers even perform a nightly choreography of light. While much urban lighting has a functional dimension, there is a long history of lighting cities for spectacle and pleasure. Gas-lit Paris was proclaimed the world’s first “city of light” in the 1820s. From the 1870s, World’s Fairs regularly showcased new developments in electric lighting, paving the way for the twentieth century “electropolis”, as cities such as Chicago, Berlin and New York came to be defined by the intensity of their illumination. The “bright lights, big city” of which Jimmy Reed sang in the 1950s became a dominant image of the modern city, establishing a new rhetoric of urban space in which lighting for productivity and security was overtaken by lighting for spectacle, mood and advertising. 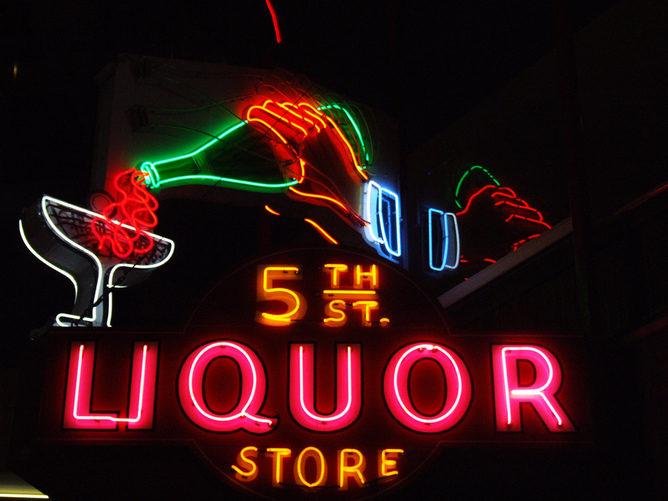 For a century, urban lighting depended on incandescent bulbs and various fluorescent tubes, such as the neon tube that became synonymous with advertising from the 1920s. The current explosion of urban illumination projects has been sparked by a range of new technologies, including the maturation of digital projection systems, light-emitting diode (LED) video screens and LED lighting from the mid-90s. The capacity to computer program LED lights down to the individual pixel means that lighting designers can create complex sequences and rhythms, such as the light narrative designed by Bruce Ramus, former lighting designer for rock luminaries U2, that plays on the LED skin wrapping Melbourne’s AAMI Park stadium. Bringing computer-aided design together with high-precision large-scale digital projection has also created the distinctive new art form of projection mapping. Projection mapping enables real structures, such as the curvaceous Sydney Opera House, to be transformed into a screen on which images can play without distortion. URBANSCREEN lighting the Sydney Opera House, 2012. Precise integration of mutable light with material structures can result in astonishing contemporary retakes on the old son et lumière show, as solid buildings seem to come alive through virtuoso combinations of light and shadow. For Lighting the Sails in 2012, German company URBANSCREEN took the sails metaphor of Utzon’s famous structure literally, using projection mapping to make them appear to undulate and ripple. New lighting technologies inevitably raise new questions about access and control over public space. The complexity and cost of large-scale projection mapping means it requires the deep pockets of large festivals. But it is also becoming an increasingly common promotional tool for high profile commercial events. Lighting the modern city has always had a strong commercial bias, and has been a key factor in tilting the contemporary city towards becoming a “brandscape”, a spectacle that is consumed rather than inhabited in other ways. However, new technologies can carry other possibilities for public communication. The Helix Tree installation (video above) that Bruce Ramus designed for Light in Winter in 2013 lit up in response to people singing. Light became a medium for congregation and collective public participation. There are also myriad examples of “unauthorised” illumination projects around the world, variously termed digital graffiti, photon bombing and mobile guerrilla projection. During the Occupy Wall Street phenomenon in 2011 artists projected “99%” and “Occupy Together” right across the front of buildings such as City Hall. And predating Lighting the Sails was the memorable guerrilla projection in 2006 of the “We are all boat people” logo on to the Opera House sails. More than ever before, lighting has become integral to debate over public space. Scott McQuire was part of an ARC linkage project, Large-screens and the transnational public sphere 2009-2013, in which Fed Square P/L was one of three industry partners. Can we put 'art' in scare quotes when we talk about this stuff? The reality is that 99% of what's presented at White Night is just facile decoration and has nothing whatsoever to do with engaging with an artwork. Not to say it's not valid on some level as a kind of urban enetertainment. But this is not analogous to an art experience. Urban entertainment absolutely, but isn't artwork subjective? I think saying that artwork is 'subjective' sort of misses the point. I can't recall any of the apartment buildings on this site being described as works of art, for instance, but even if they were, that wouldn't preclude a discussion about their relative qualities and merits, would it? The point is less that art is subjective, more "is it actually in any way possible to experience something that in any way approximates an art experience whilst being jostled by 30,000 people staring at a barely visible component of an animation projected on to a building?" My experience of White Night is a resolute 'no'. I spent not one moment in contemplation of anything more profound than wishing someone would ring in a bomb scare.